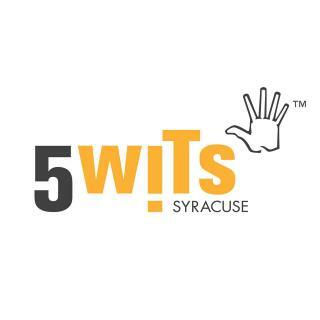 5 Wits was created during 2004 in Boston, MA. The concept — to give customers a live-action, immersive experience within a realistic, hands-on setting. Rather than watching an action movie or playing a video game, customers get the chance to be the action hero in that movie or video game. Customers’ responses determine how each adventure will unfold, and their choices determine how the story ends. It’s a very unique experience, unlike any other around. Our adventures include Tomb, Espionage, 20,000 Leagues, Drago’s Castle and Deep Space. 5 Wits currently operates in Foxboro, MA; Syracuse, NY and West Nyack, NY. New adventures and new locations are under development now! Each adventure is in a self-contained, physical space that requires your hands-on interaction to progress. Every adventure has multiple rooms, with several unique puzzles to discover as you travel through them. Your adventure awaits! Ever teleport to an abandoned starship? After no contact for years, there’s been a distress signal from the abandoned starship, Nebulous! You have just 30 minutes to teleport aboard the craft, figure out what happened and get back safely. But be prepared to battle an asteroid storm, rewire the engines, refuel the power supply and stop an evil Artificial Intelligence in time to save the world! Time is ticking and everything is on the line when an evil corporation threatens the world. Do you have what it takes to save the day? Your mission? Break into enemy headquarters, dodge security lasers, hack the computer system, unravel the clues, diffuse the threat, and get out alive! Every challenge you conquer and mistake you make will change the outcome, so stay sharp, move fast and don’t get caught! Enter a 3,000 year old tomb with only a flashlight and your wits to guide you! At an archaeological dig, you find yourself deep in an Egyptian tomb… face to face with the spirit of an ancient Pharaoh! Are you brave enough to make it out alive? The only way to survive will be to best the Pharaoh at his own game and prove your worthiness… but watch out for traps along the way! Test your skills in this amazing adventure thousands of years in the making!